Beautiful time in Oia! ... Accomodation was very nice - spacious room with excellent facilities. The sunset was spectacular! 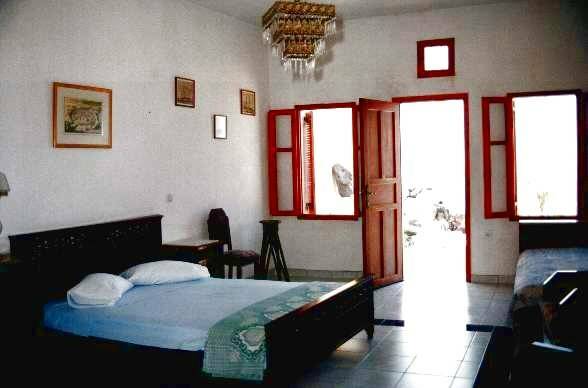 The studios are in total 9, the 4 of them are 45 square meters (100 square feet) big, each, and one next to each other, so you can have company, when you want, and privacy when you desire it. Every studio consists of different, antique furniture. As studio there is one big room with one double bed and one/two single bed/s. In the same room there is a separate private toilet and shower. In that complex there is a big veranda for all the 4 studios, where you can enjoy the sunset and 270 degrees of sea view with a lot of islands that you can see and the canopy in the night. There are another 5 studios with private veranda. 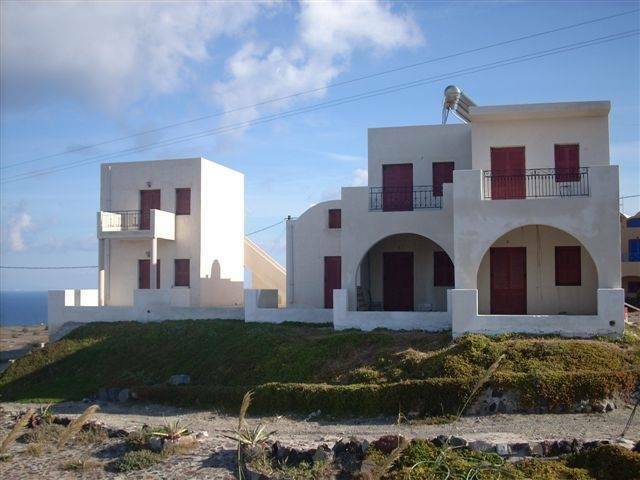 We are located in the beginning of the island we have partially caldera view (facing the caldera of Thirasia), not in the volcano, but facing north Aegean sea and a lot of other island. 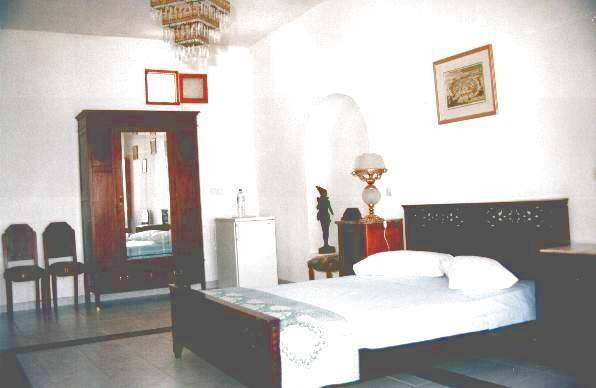 We have a 270 degrees of sea view and clients can enjoy the sunset even from their bed. 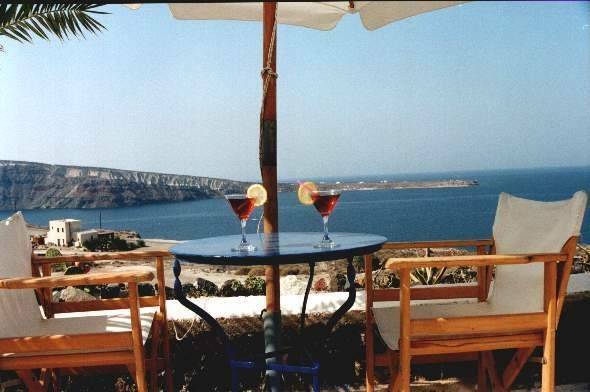 We are 150 meters from the centre of Oia, on the way to Ammoudi Port. For your transportation, you will need taxi or to rent a car/motorbike, also in order to explore the island. There is a swimming pool with Jacuzzi and the nearest beach is one kilometre from us, because we are on a cliff. 21 days prior to arrival. In case of not showing up we keep 50% of the whole amount. 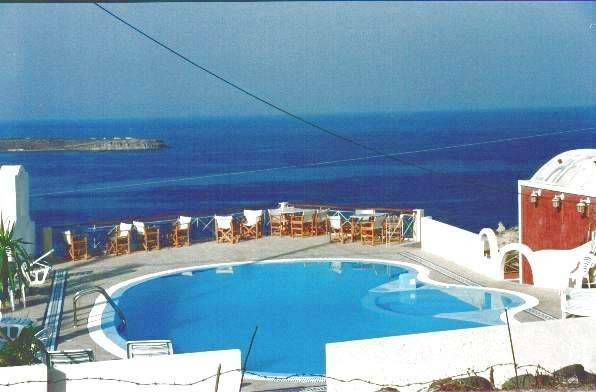 We are located in the beginning of the island we have partially caldera view (facing the caldera of Thirasia), not in the volcano, but facing north Aegean sea and a lot of other island. 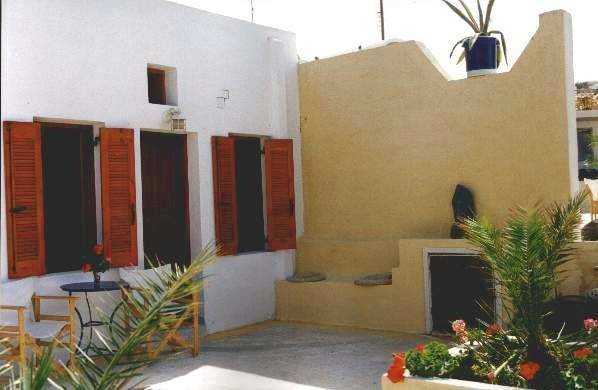 We are 150 meters from the centre of Oia, on the way to Ammoudi Port and 500 meters from the bus station of Oia. The nearest beach is one kilometre from us, because we are on a cliff. For your transportation, you will need taxi or to rent a car/motorbike, also in order to explore the island, or you can use the bus.